The attack could be a result of internal squabbles. 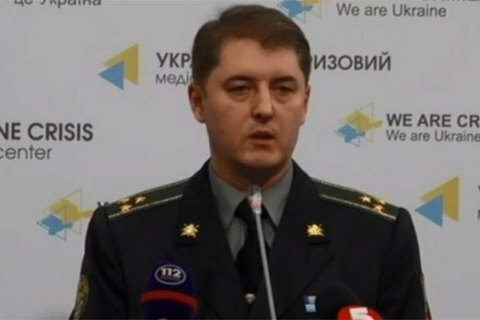 The antiterrorist operation (ATO) HQ has said Ukraine has nothing to do with the 6 August attempt on the life of Ihor Plotnytskyy, the leader of the self-proclaimed Luhansk People's Republic (LPR). "The only thing I can say is that the Ukrainian side has nothing to do with this attempt because it is illogical and solves no problems," a speaker of the presidential administration for ATO issues, Oleksandr Motuzyanyk, said at a briefing. He recalled that it was not the first attack of this kind in the LPR. "Most likely, the attempt on Plotnytskyy's life is a result of internal wrangling and redistribution of the areas of influence as well as fight for power," he said. In the morning of 6 August, Plotnytskyy's car was blown up in separatist-held Luhansk. Pro-separatist ex-MP Oleh Tsarev tweeted that Plotnytskyy was "in grave condition in hospital". The Security Service of Ukraine (SBU) confirmed this information.